Kids crafts, activities and contests! Come to the Kids Fair to Patrician on Sunday, April 29th from 1 to 4 p.m. FREE and open to the community! Our venue’s address is 33150 Lakeland Blvd. in Eastlake (map). Do you have children under 18 years old? Then this event is for you. All organizations that offer kids programs over summer break from school are encouraged to come to this event. Day camps, over night camps, educational programs, vacation bible schools, sporting activities, and other programs you can sign your kids up for over the summer will have representatives you can talk to. 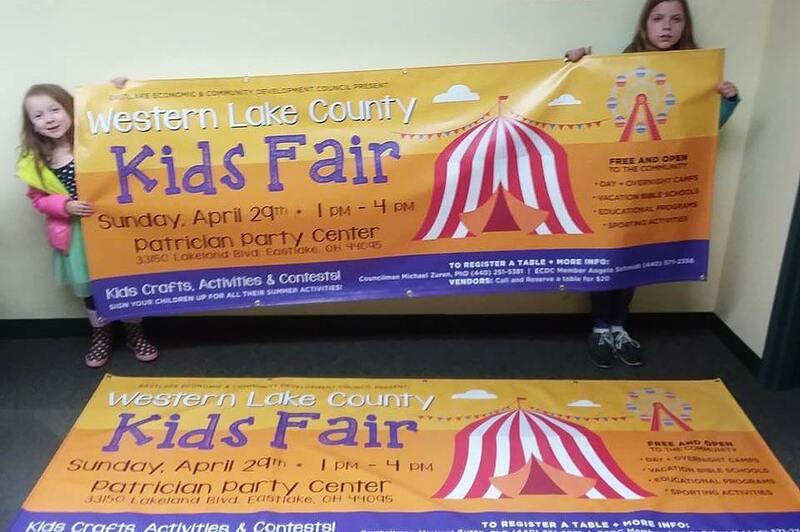 Get all the information for your children’s summer at the Western Lake County Kids Fair! All proceeds from Chinese Auction will be donated to The Lake County Fight Against Addiction Hope Over Heroin Organization. Magician, Balloon Artist, Bubbleologist (Dr. URAWESOME), Heroes United (Superheroes), Pooch Smooch Booth (Amy’s Adoptables), Fire Truck, Children’s Games & Activities (Eastlake Library). The group is still adding vendors and sponsors. Please contact Councilman Michael Zuren, PhD. at 440-251-5381 or ECDC member Angela Schmidt 440-571-2356 for additional details.